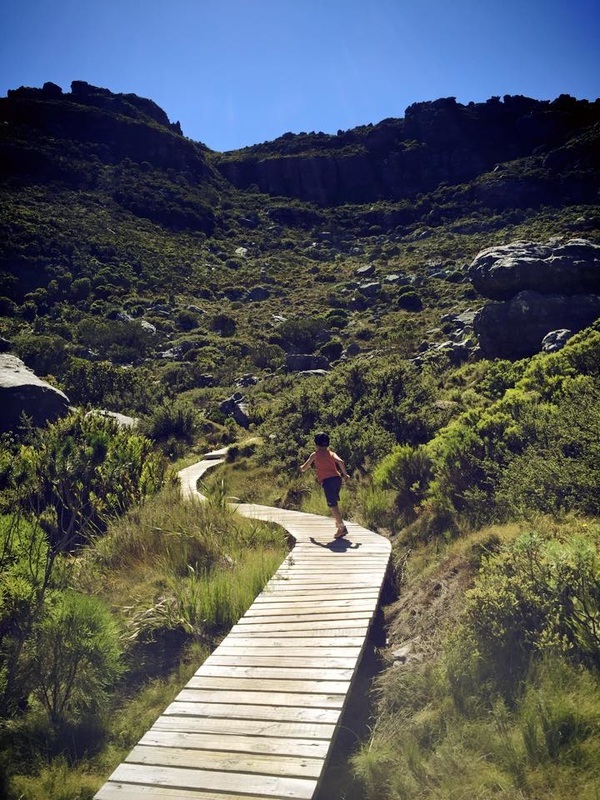 Ok, so I know there are people who would argue with me when I say there is little better to do on a perfect day in Cape Town, than to head on a hike up Table Mountain, yes, on your feet – leave the cable car for the grannies and grandpa’s. But you can’t knock it until you’ve tried it, and it is beautiful. It is beautiful in a way you almost can’t describe. The way the sun hits the mountain and misty morning air with absolute peace. The sound of tiny creatures scampering through the bush desperately trying to flee the delighted cries of the children. The feeling of your heart pounding in your chest as you work your way higher up the side of the mountain, and the silence that meets you when you crest that final rise. Standing 1000 meters above the sea, looking down over Camps Bay, is nothing short of bliss. The quietness is strange at first, almost like you’re not sure what’s missing. You are completely removed from the constant droning of the cars, the incessant talking and hammering and barking. A bird chirping becomes a crystal clear sound, piercing the quietness, but then evaporating as quickly as it appeared. It’s magic up there. This enchanted world isn’t lost on the kids either. They hear the quietness, they feel the peace, it’s taking them to a place where they can experience nature and see wonders in this world that can’t be bought in a store. It is such a vital experience for children of this generation to have, and not just once off either. When their everyday lives are constantly bombarded with images and sounds, flashing lights and perpetual adverts, they need to learn what it means to escape, to find their peace. Giving children some ‘quiet time’ is so often associated with veg’ing out in front of the TV or playing games on an iPad, when you compare that to real quiet time you realise how extremely twisted our notions of ‘quiet’ have become. Lincoln running along the board walks on top of Table Mountain. 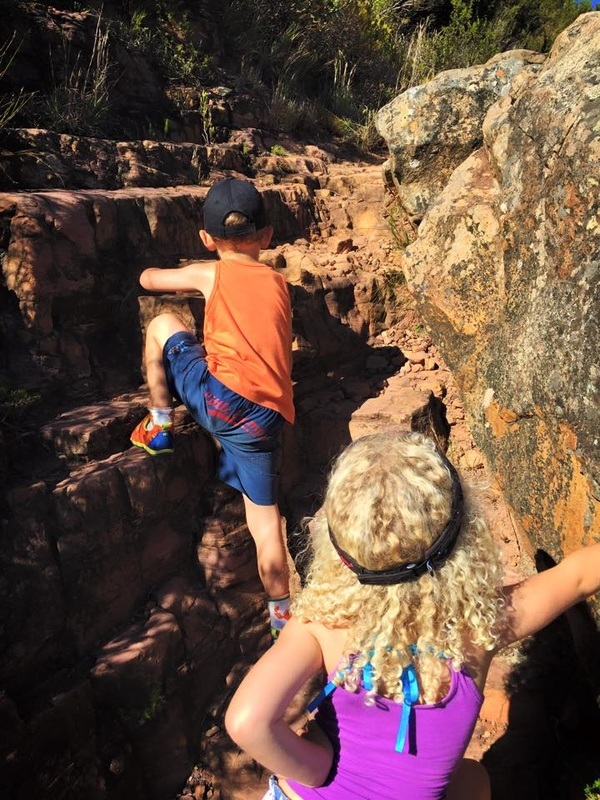 Our kids love the climb. 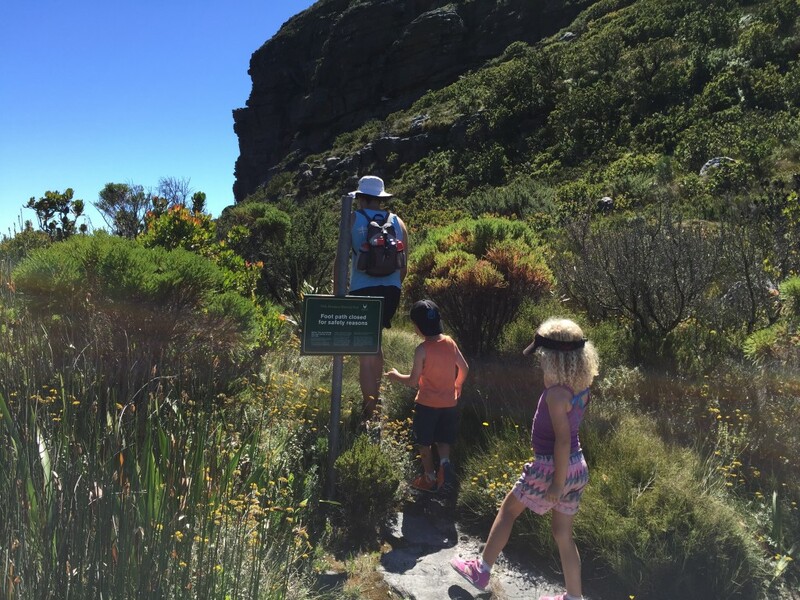 We have learned that they prefer to climb rocky paths which require actual climbing, rather than hike a trail that requires only walking. 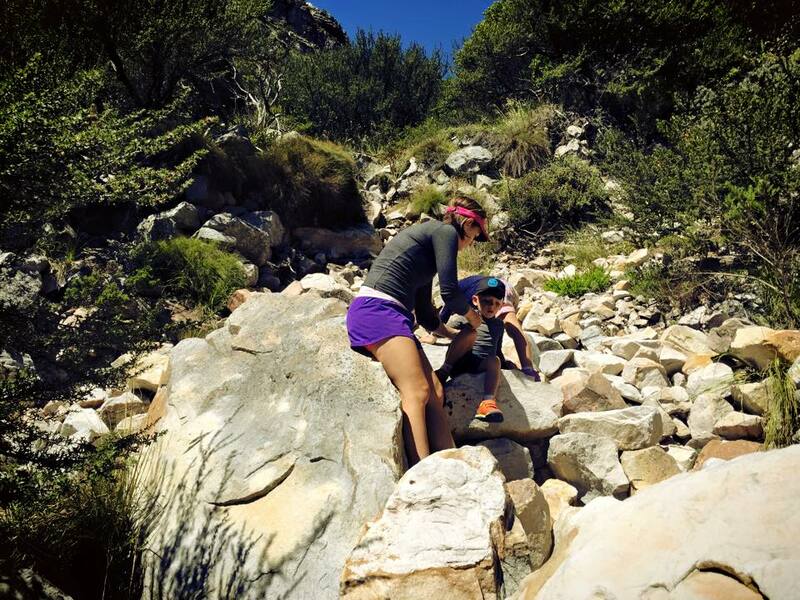 They like to use their whole bodies, and they like the challenge of finding their own way over rocks in their path. 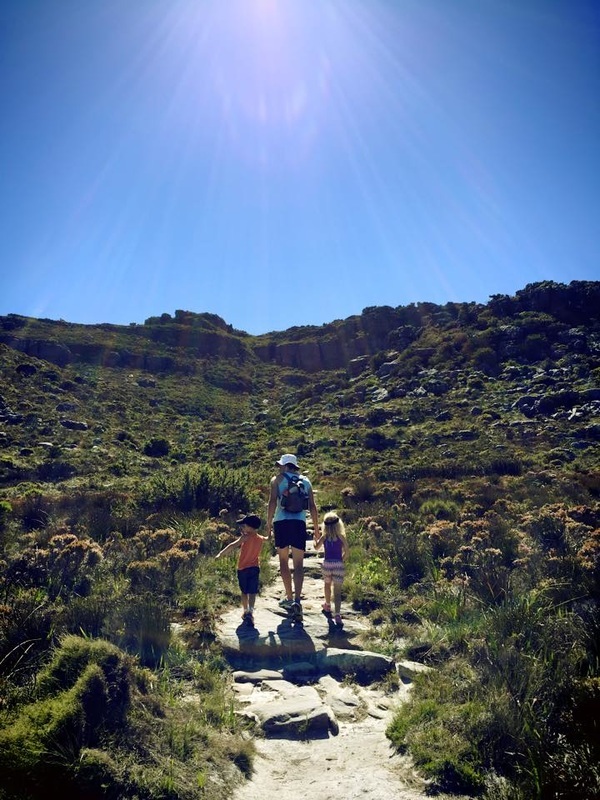 It keeps the hike interesting for them, and saves us having to encourage them the whole way to the top.We have also learned they need frequent breaks, lots of little ones. Stopping for half an hour is actually more damaging than good as it lets the body relax and beginning the climb again is harder. Stopping for 1 minute every 10 minutes is great for them. They can have a sip of water and a small snack. It keeps energy levels up and gives them something to work towards. Telling them they have to keep climbing when they are needing a break is both dangerous and demoralising. Your wits have to be sharp but so do theirs, they need to be able to concentrate on their climbing and their balance. Regular breaks are key to that. 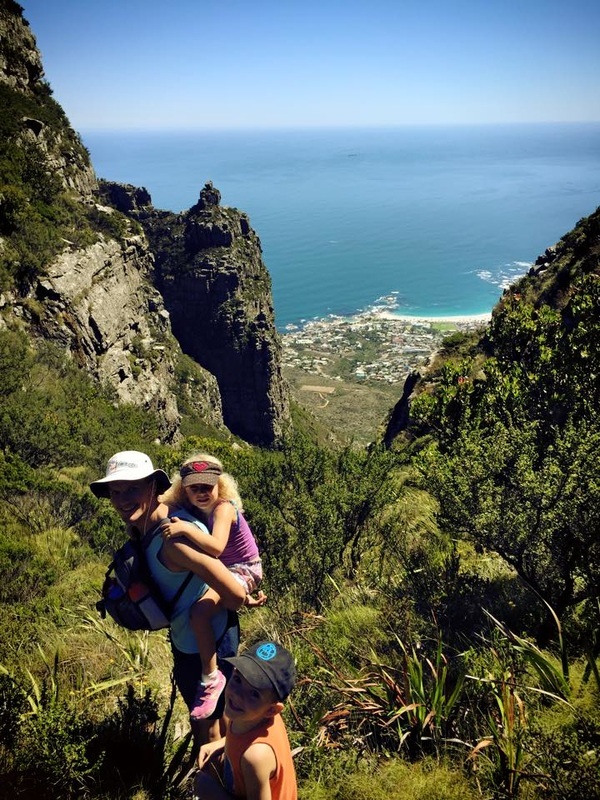 Watching your children reach the top of a mountain is one of the most rewarding experiences for a parent, especially when they are only 4 and 5 years old. You walked it too, so you know the effort that was involved and I would be lying if I said I wasn’t proud, it is a real achievement for them, and us of course, our inspirational pep talks were invaluable. In our case, we climbed this particular climb a year ago with them, so we decided to extend a little further and hike across the top to the cable car. 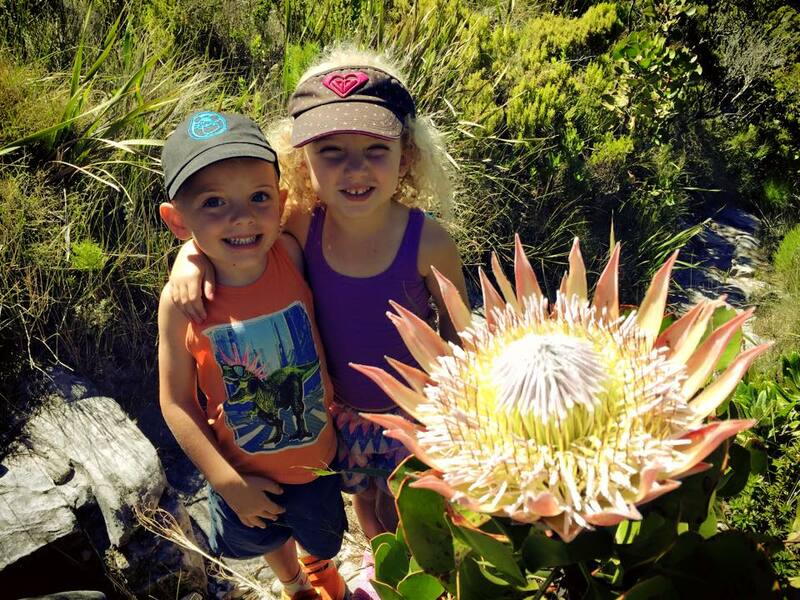 The walk along the top is extremely beautiful, you stroll through valleys filled with the largest Proteas I’ve ever seen, and climb rises covered with both ferns and fynbos. The vegetation is outstanding and the silence extends across all of it. 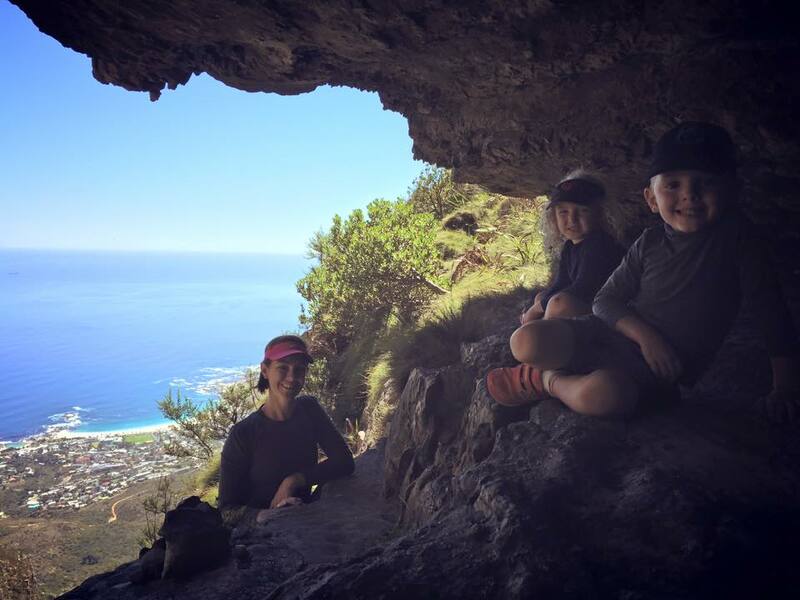 We picnicked on a rocky outcrop with views over False Bay and across to Gordons Bay. 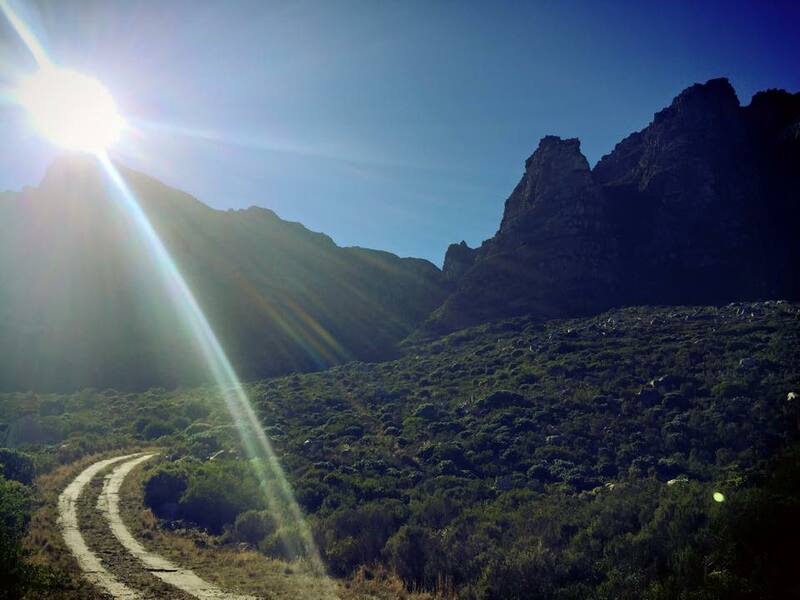 We could see the entire mountain range that burned in the March 2015 fires, including Muizenberg, Kommetjie, Hout Bay and Camps Bay – our views were extraordinary. Our rocky outcrop, and our views. Something extraordinary. Our travels across the top took us to Echo Valley, from where we could both see the cable car and hear the noise of the habitation. In the stillness and the quiet from where we had just come, the sight of the hoards was like crashing back to reality. We made a sharp b-line for the closest path to avoid the masses and began our descent down the mountain. What I neglect to mention is that in our haste to retreat, we chose to descend down a path that was ‘closed due to safety reasons’. If you choose to argue our sanity on this point I would not disagree with you. It was foolish and we were negligent. What started as a peaceful, happy climb, deteriorated into dogged determination and perseverance based solely on the need to reach the bottom. We ran out of water on the top, expecting to find a stream where we could fill our bottles, only to realise there is almost no water on the top of the mountain come March, the middle of the dry season. Just when we were turning into crusty semblances of our former selves, we found 2 puddles of water on the rocks that were the bane of our descent. 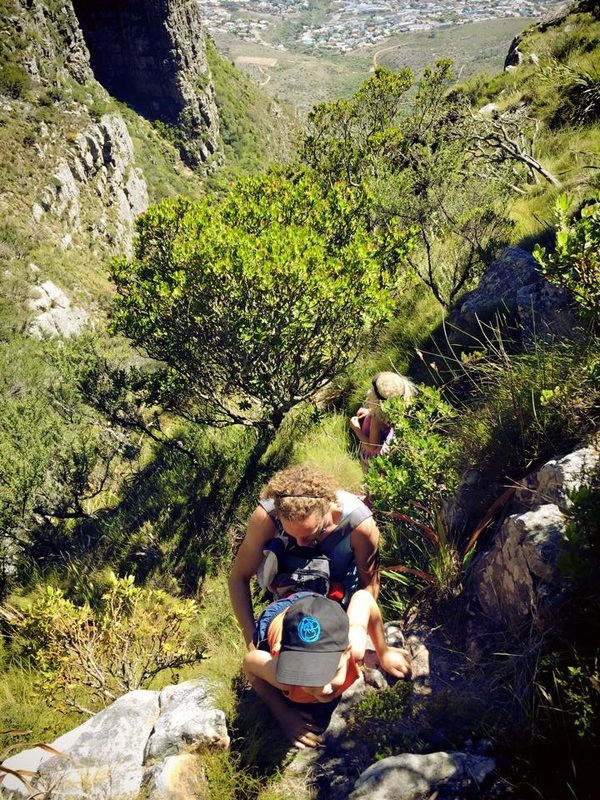 We scooped those water swimmers aside and put our noses to the ground as we drained the fresh mountain water. It was our saving grace. Never have I been so happy to swallow unfiltered water lying dormant on a rock. Never did I think I would encourage my children to do so. After quenching our Sahara dessert thirst, what better way to celebrate than to sit down and have a good cry. As a pressure cooker does to release steam, so did I. My steam came out in big droplets, one at a time, each patiently waiting their turn, until I was once again calm. Nothing like a cry of frustration to ease the weight of knowing you made a bad judgement call, of knowing it when you made it but not listening, or recognising it for what it was. I knew the only way home was down, so we resumed our climb down the rocky ravine, guiding the children as they climbed down one immense boulder after another, passing them down to each other when the rocks where simply too high and too dangerous for them to climb.A 2 hour climb up, a 1.5 hour hike along the top, and a 3.5 hour hike down. What was meant to be a 4 hour hike turned out to be almost twice as long. After some choice language, nearly dehydrating, a good weep and a few discussions on when it would be a good time to call in a helicopter, we finally reached the bottom. We were all deflated, our feet hurt, and we were desperate for an ice cold drink, but we were down safely.The lesson to take from our epic hike, is don’t let the idea that you may have known better in the past, cloud your judgement on what you are currently attempting. When that more-than niggling thought tells you to stop and re-think your plan, don’t disregard it because in the past you have, and it turned out alright. 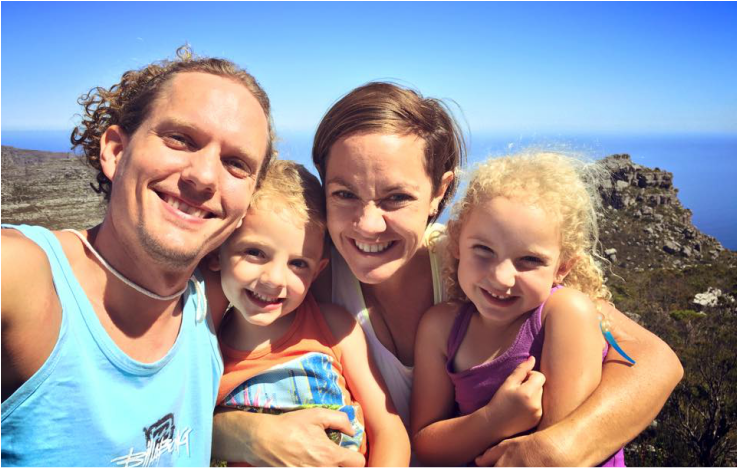 Shaun and I didn’t need to have the conversation on our errors up the mountain that day, we saw it in each others faces as we cuddled our kids before bed that night. While we tucked them in, congratulating them on their incredible tenacity during our adventure that day, I promised myself I would never take them down a closed route again. This was the last lesson I needed in that regard. Closed route aside, it was an incredibly awesome hike! What an escapade. 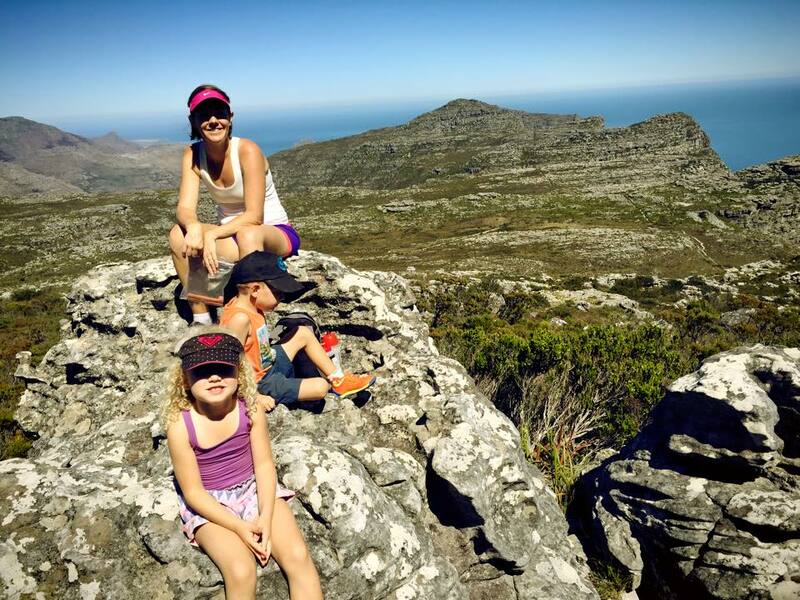 Our family-selfie on the top of Table Mountain. We will never do an unadvised route again with our children. But we will absolutely, one hundred percent, be taking them on the first part of this hike again! 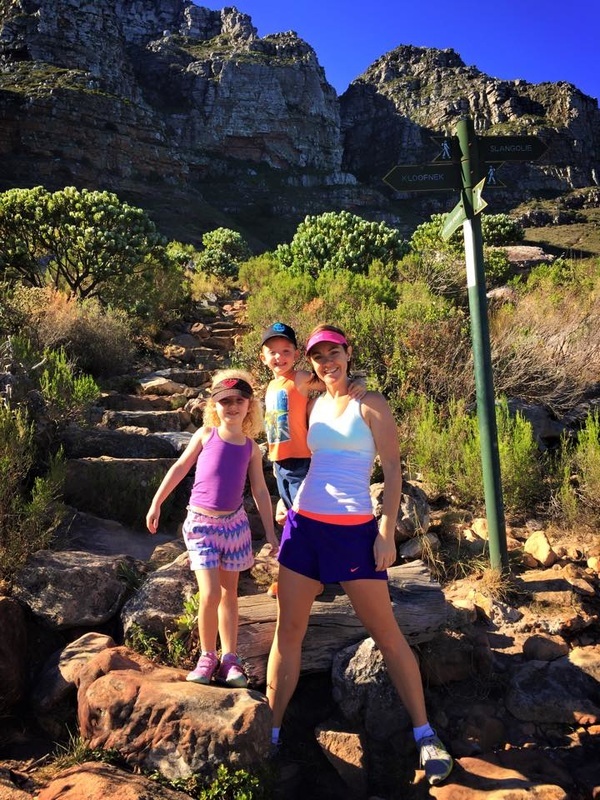 It was challenging, but an ideal hike for our family. 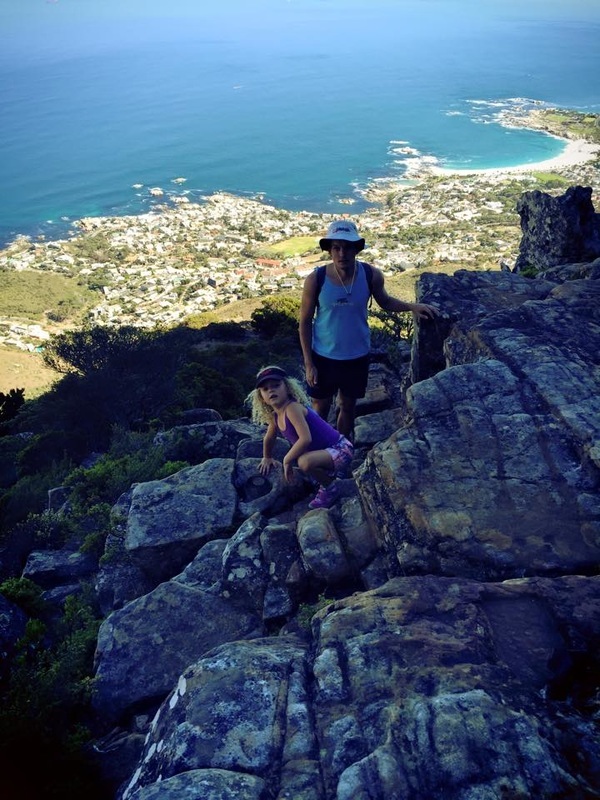 We climbed up Kasteelspoort from Camps Bay. Plan! Plan! Plan! Stick to your plan. Changing your mind about the distance when you are half way through your hike is careless unless you know you have enough supplies on you. Running out of water is no joke. Realising you have no medical supplies on you when you need them is also no joke. Use the tips below! Have a map of your route and the surrounding area. Carry more food and water than you think you will need. 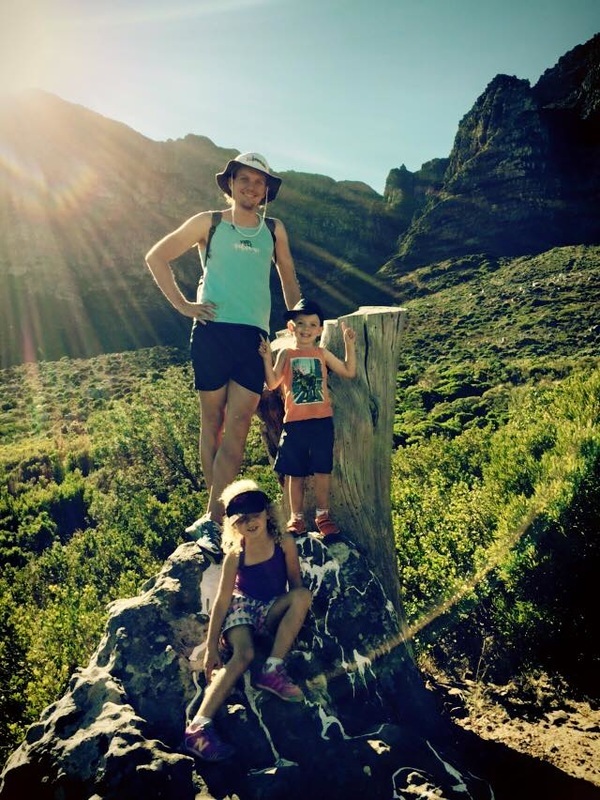 Our kids eat significantly more than Shaun and I on a hike. This surprised us on our first major hike and Shaun and I had to go without in order to keep their energy up. Take a first aid kit. Just the basics. You’re packing light remember. Don’t walk an unadvised or closed route with your children! Putting yourself in danger is one thing, doing it to your children is iniquitous. 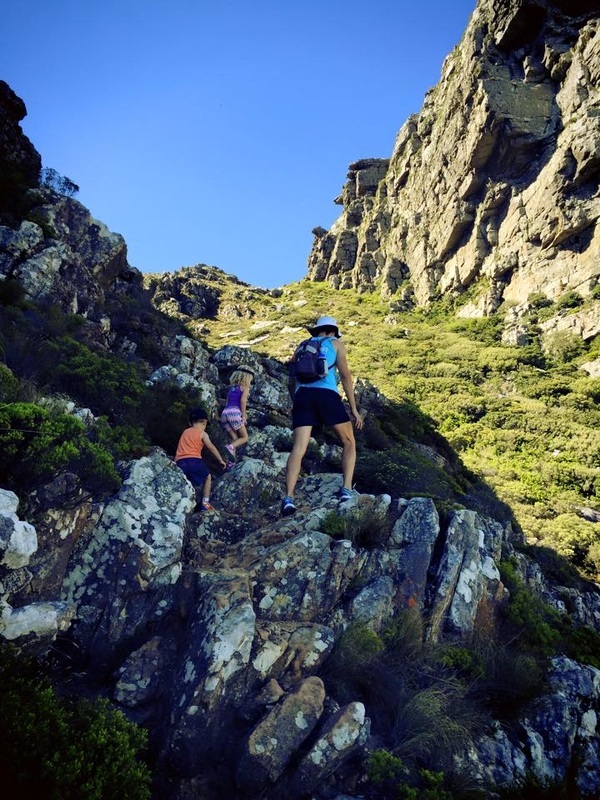 This doesn’t mean you can’t do challenging routes, just stick to the advised paths. Tell at least one person where you are going before you leave. Take a phone with you, but keep in mind there may be no signal on the top of a mountain. Have the number for the mountain rescue service with you. Always carry a thermal, even on a hot day. The top of a mountain can have a vastly different temperature from that at the bottom. Pack a good sense of humour – things don’t always go your way! Remember you are there to have fun!! 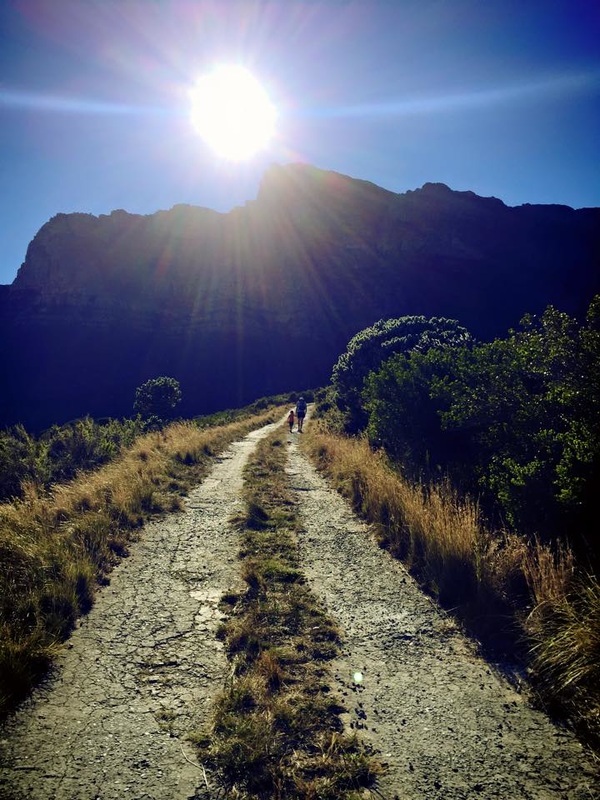 If you have any hiking tips please feel free to share them.